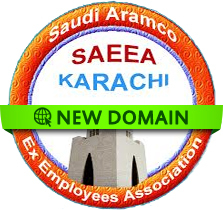 Saudi Aramco Ex-Employees Association (SAEEA) is pleased to announce the launching of their website on a new domain. The URL for the website is http://www.saeea.net The layout of the website is different this time. All the events were mixed in our previous website; now they are segregated into one category and will be convenient for the members to find out the one they are looking for. Under the heading Info we have put the links for the seven English and Urdu News Papers including BBC Urdu for the members to read the newspapers they want to read. The power point presentations for the reunions are also there for the members to refresh their memories and see their buddies who have left us in these five years. Please review the website and do write your comments to [email protected]. Your comments are very valuable for improvement.